Wally’s Answer: In this article, we will be looking at how to use WinDbg to read and understand the information in .dmp files. A few simple and important pieces of information can help you locate the Blue Screen error’s cause. 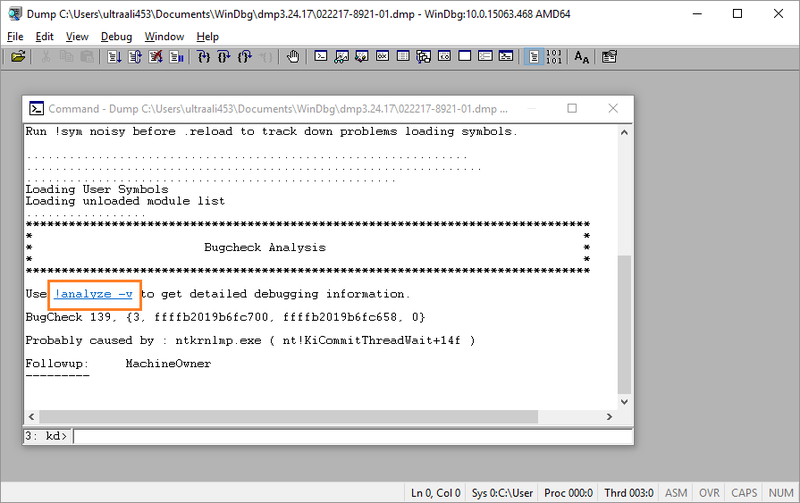 Now that you have the .dmp file opened in WinDbg, you can use some commands to find the problem. 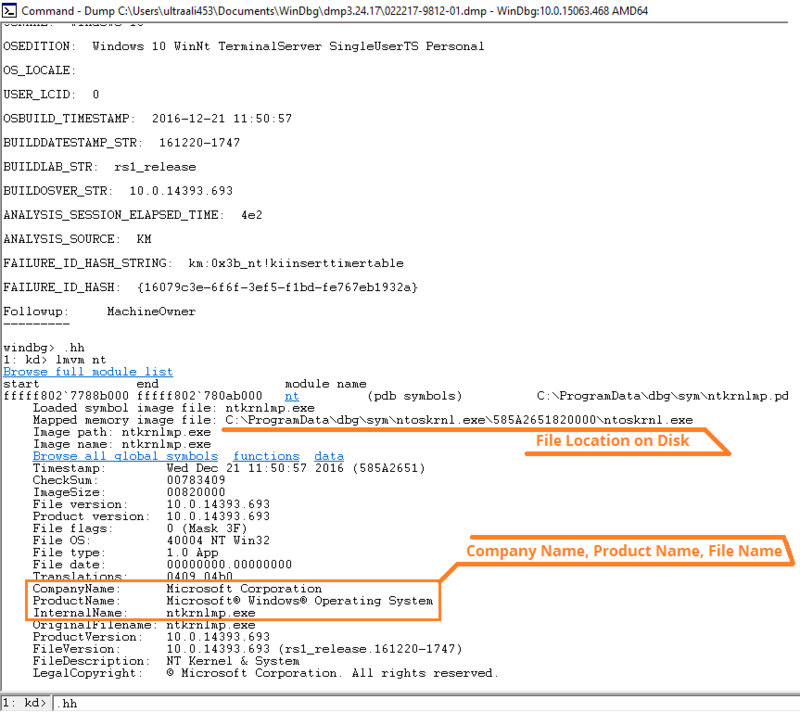 Click the !analyze -v link as shown in the picture below. This command will reveal a lot of information about the error. After that, close the window. If you try to close it directly, then it might stop responding. 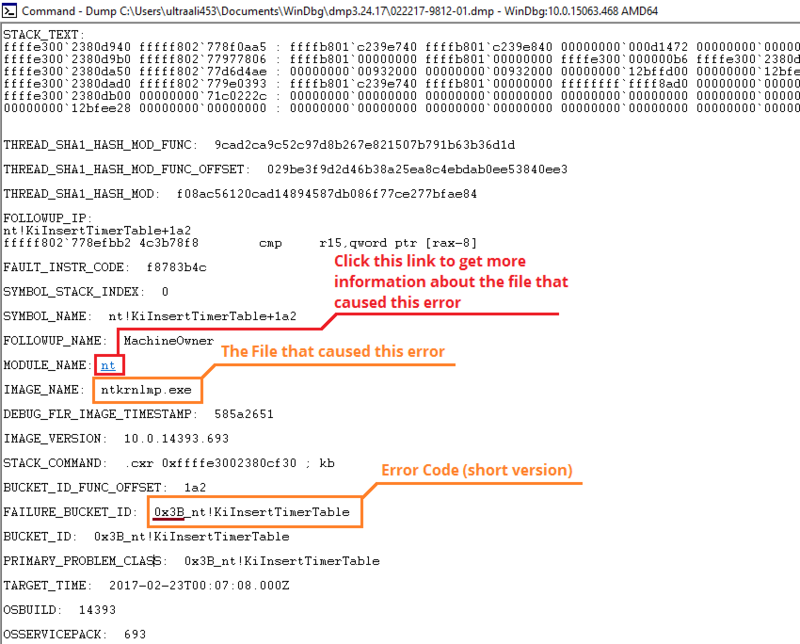 How To Read The Error Information After Using The !analyze -v Command? After triggering the !analyze -v command by clicking its link. You can also type it in manually in the command area. You can see where the Blue Screen error name is located in this analysis. You can use commands by typing them in the command bar and pressing Enter. Click the command bar, and type the command. 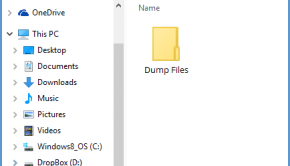 Here are two particularly useful commands. You can type and execute the command .hh to open the help dialog. 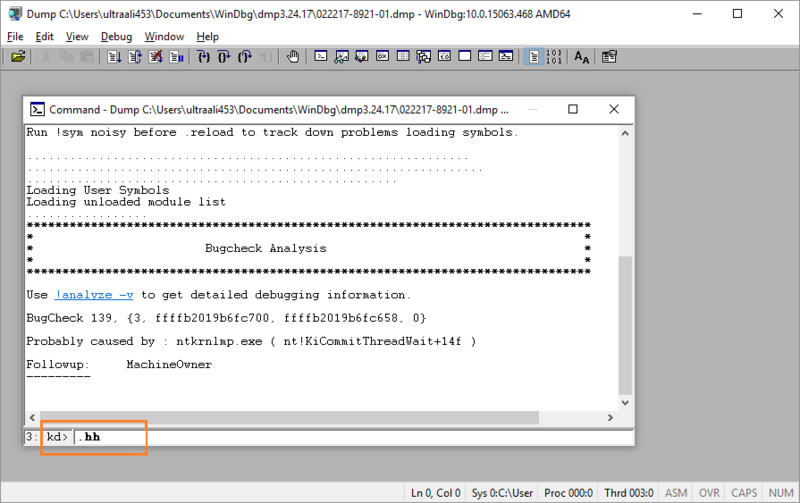 This help dialog contains all error codes. 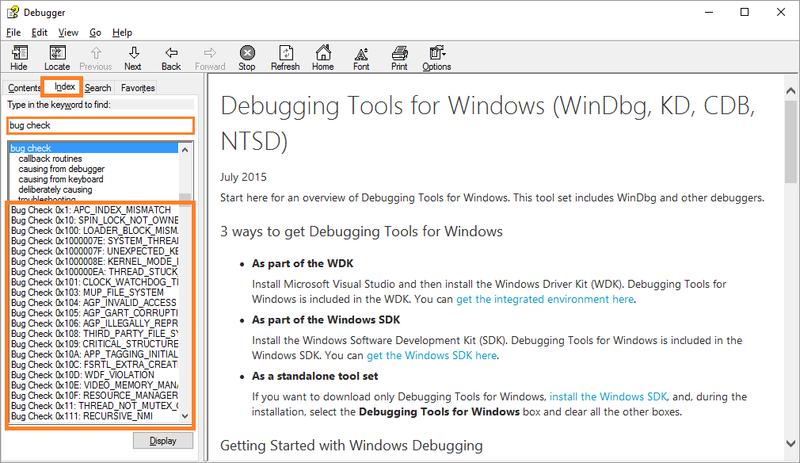 Once it opens, click Index and type bug check followed by the bug code you identified. 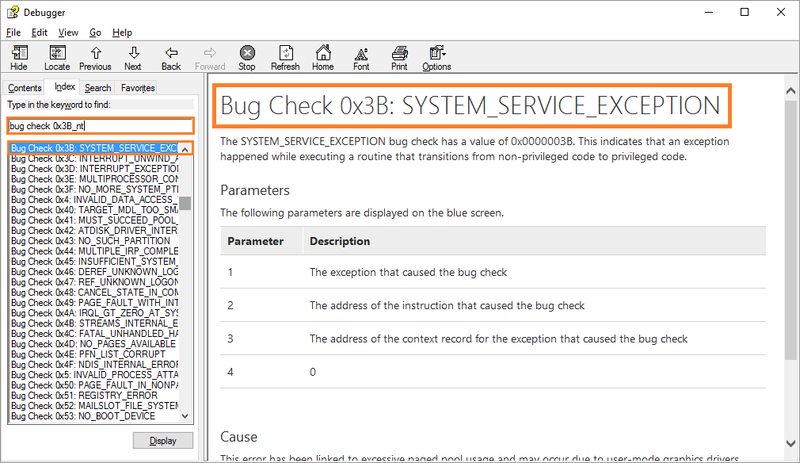 Writing bug check followed by the error code will bring up specific results. Click the matching search result and read further detail on the right hand side. What Software and File Caused This Error? 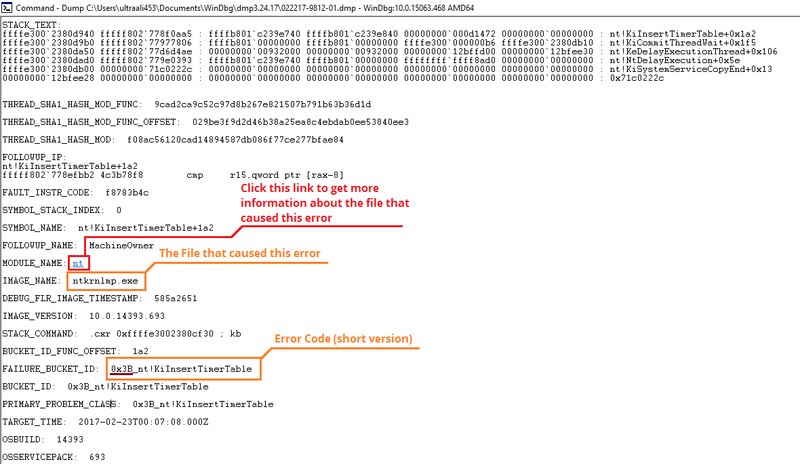 You can find out which Software Program and Specific File caused this error by clicking the link in front of MODULE_NAME as shown below in Red. You can also get this information by scrolling to the end of the analysis. 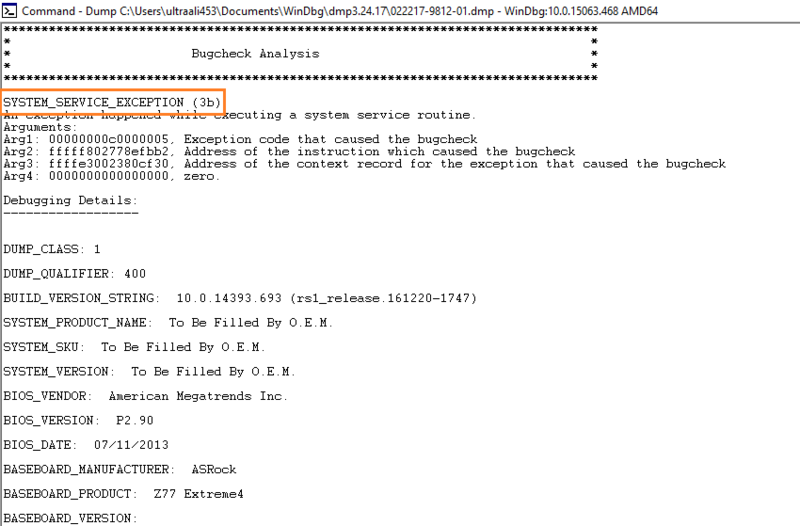 Here, you can see the Company’s Name who made this software; Name of the Program that caused this problem, and Name of the File that triggered this error.